I was a frequent visitor to the infirmary, as every bout of homesickness, math test, science test, and athletic competition caused me to seek consolation in her peaceful domain. Before school counselors became de rigueur, it was the school nurse on whom we depended for advice on “how to survive”. She took my temperature, and then usually pronounced me OK, to my utter and complete disappointment. Then she discussed the challenges of that moment, before nearly squeezing me to death in an affectionate hug. With her sympathetic endorsement, I knew I could make it through the morning geometry exam and even the afternoon field hockey game, although in my heart of hearts I knew I had little talent for either and thoroughly loathed both. Blisters were an especial concern and the particular medical speciality of Ms. Abkarian. I played tennis moderately well. Often wearing inflexible Keds would cause blisters on the backs of both heels. Other girls developed blisters from wearing high-heeled shoes, and these maladies were treated with the greatest seriousness. We were warned to take great pains to avoid developing blisters, since in 1924, President Coolidge’s son and namesake had died from blood poisoning resulting from an infected blister. To this day, I am fearful of blisters and, according to my daughters, wear the ugliest shoes to avoid them. At my age, I have spent much time reflecting on the goodness of my parents, now both deceased, and the splendid opportunities they offered me. My peculiar ethnic origins continue to interest me a great deal. My Father, a physician, was American born to Ladino-speaking parents who had emigrated from Salonika (now Greece) in 1914. As a surgeon, he had little need for the free samples he was sent, of ace bandages, bandages, aspirin, sanitary napkins, tongue depressors, q-tips and the like. These he gave the infirmary, which was often short on supplies. They were happily and gratefully received by Miss Abkarian. Miss Abkarian’s family also came from Sivas, Turkey in 1883. 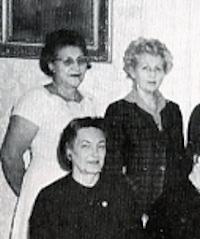 Of course, everyone knew Miss Abkarian was Armenian, but what about that incongruous first name, “Dagmar?” It turns out that her family, like mine, came from the Ottoman Empire. 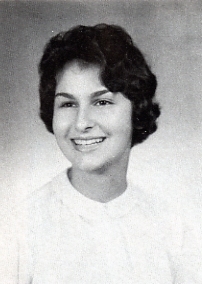 She was also the daughter of a physician, Dr. Sarkis Abkarian, who had practiced in New York, and the sister of Mrs. Albion C. Ockenden of Southampton, Mass., which I guess is how she came to work at Northampton School. Although her mother was Danish, hence the name Dagmar, she adored Armenian food. My parents always brought her a “care package” comprised of my Grandmother’s sutlach (a rice pudding), boreks (cheese pastries), and Armenian pickles and other goodies made by Melik. He was the owner of the Dardenelles, NY’s best Armenian restaurant, at One University Place, where all of our family celebrations were held. He could not believe that a maiden Armenian lady, formerly of New York, could possibly live and work in remote, cold Northampton. Dr. Caren Altchek Pauley taught Spanish literature at George Washington University and other colleges for 33 years, and is a published authority on American silver and ceramics . She is currently Executive Director of the Harvard Club of Washington, DC. My main hero was Mrs. Kehrli – art. She was a petite Parisian with distinctive jeweled glasses who taught us art history with University Prints just like the college classes, and practical art, painting, and some crafts. 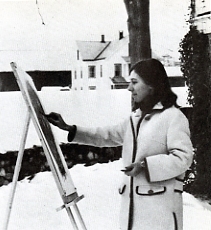 The art studio was a long long room in the basement of Hathaway, the corner house and residence for seniors. The studio was accessible by a basement door. 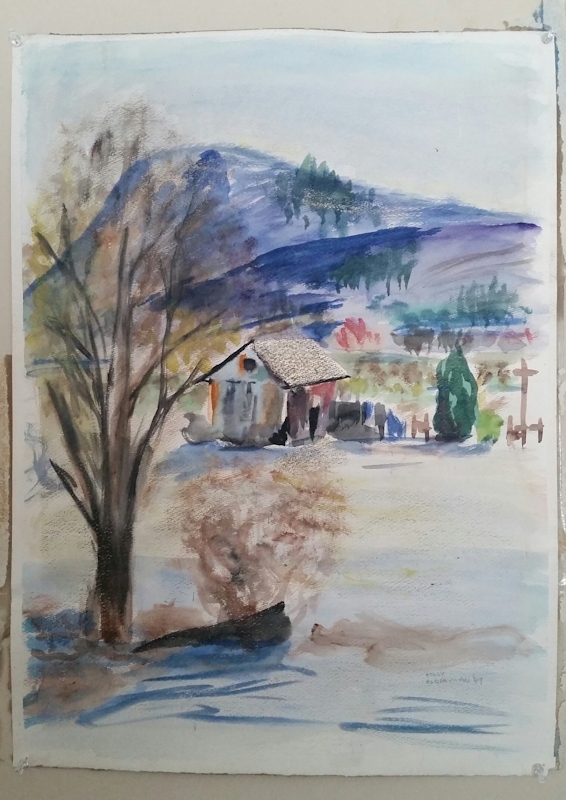 I still have a Freshman watercolor of the view upstairs. Holly Alderman, View from the Hathaway Art Studio. Collection of the Artist. Mrs. Kehrli was from Bern, capital of Switzerland, had studied at the École Nationale Supérieure des Beaux-Arts in Paris and Moore College of Art, had designed costumes for the Metropolitan Opera in NYC. She was single but I believe not divorced, had married a Swiss aristocrat whose fleet of transatlantic freighters was sunk by the Germans, a distinguished gentleman whom I saw once, on a rare visit, in formal attire walking with a cane with a silver handle . . . handsome. She pronounced pizza “piz-za” . . . not peetsa. Her feet were about size 4 and she had high fashion European shoes. One of her formal, elegant suits for celebratory events was trimmed with real leopard on collar, cuffs, and pockets. She was, in a certain way, a version of Chanel in Northampton – she KNEW everything about style and art from Paris. Her daughter was the subject of a beautiful painting in progress in the studio. Her daughter’s husband was president of Rotary in France. She was from an extremely wealthy family. 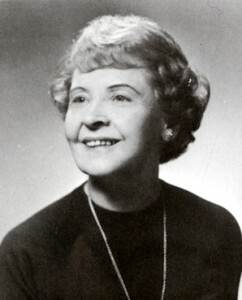 My parents greatly enjoyed her wit and talent as raconteuse on several day trips to Boston. Her hand painted hand-carved woodcuts impressed everyone as very beautiful. She assigned us to carve woodcuts and we carved wooden bookends and other items with tiny scoops and chisels. Several other students and I carved for her the drawer fronts of a 3-foot high 6-drawer chest which she painted in black lacquer with delicate gold Chinoiserie scenes and red accents. I wonder if without Mrs. Kehrli and her Parisian aesthetic and beau monde background, and her fine art of printing with carved wood blocks, I would never have had the artist eye to imagine “preserving” and “capturing” deteriorating French woodcut wallpapers, at a friend’s estate, in digital scans for new editions. In later years she moved to Abbot Academy, where I visited her a few times, and then went back to live near or with her daughter in France. Student lore – very sweet, very popular. She always kept a dime in her desk drawer in case there was an emergency; if a student needed help, she could make a call on the pay phone. Once someone did cut herself with an X-Acto blade – not too seriously – and instantly used the dime. She lectured slowly so we could write everything down. Her tests were so specific that if one memorized the lecture, one had the perfect answer. She loved and lived color theory, and annotations of art history prints. The studio was an inspired, creative place with art on the walls. Students drew with all the pencils, and crow quill pens, and painted faux fur on fashion drawings. Marianne Kehrli, “Japonism.” Collection of Holly Alderman. She was a great artist, a Parisian artist, an AMAZING artist whose mother had been a wonderful artist and fine china painter. 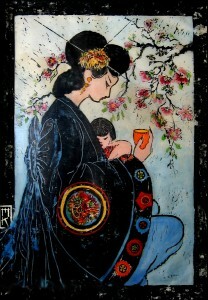 This is Mrs. Kehrli’s “Japonism” with cherry blossoms, one of her hand painted woodcuts 23″w x 32″h, which I bought for $10 at the NSFG Bazaar, probably in 1966. Her work is in several museums including the Springfield Museum – so I have heard; I have not investigated. Mrs Kehrli appointed me an Assistant Art Teacher my senior year and I helped teach freshmen. It was great! She said, “Put it on your resume so you can get a job.” First job, Assistant Teacher at Buckingham Lower School. A former day student from South Hadley, Holly Alderman is an artist across the digital divide. In her Jaffrey, NH studio, she develops innovative decorative arts to be custom printed for designers from DC to Palm Beach to Bangkok. As an example, her new edition of antique Parisian scenic wallpaper, Views of Antiquity, was originally hand printed with thousands of wood blocks in 1815; now the panoramas are printed digitally in Philadelphia for installation this spring in a Hilton-affiliated hotel lobby in Istanbul, down a narrow cobbled street from the Topkapi Museum. Write your own history! 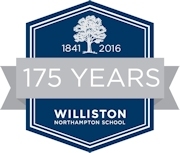 Personal stories of Northampton and Williston people, places, and events bring unique perspective to our common school experience. What memories can you share? Who knows, we might even publish them! Please email archives@williston.com. Most enjoyable reading. Thank you for sharing insights and memories from long ago. What a lovely tribute to my much beloved Great Aunt Dagmar! I will pass it along to the rest of my family.